On May 30, Schmidt Hammer Lassen Architects, the East China Architecture and Design Institute (ECADI), and the Shanghai Expo Construction Development Company announced the start of construction for a new 164,000-square-foot mixed-use development on the 2010 Shanghai Expo site. The project, known as Green Valley, will transform the former industrial dockyard into a commercial district of shops, restaurants, and offices. The design features two main buildings positioned on either side of a central courtyard. Each incorporates hanging gardens in glass-enclosed atria that will be visible from the street. The buildings will offer high standards of finish and sustainability, both in terms of environmental performance as well as low operating costs. The design focuses on openness and convenience so those working in the buildings will have superb views of the hanging gardens and the city. The expo site itself will maintain the ample green space, walking paths, and cultural attractions left after the Expo concluded and the pavilions were demolished. Green Valley is the start of new permanent development on the site. 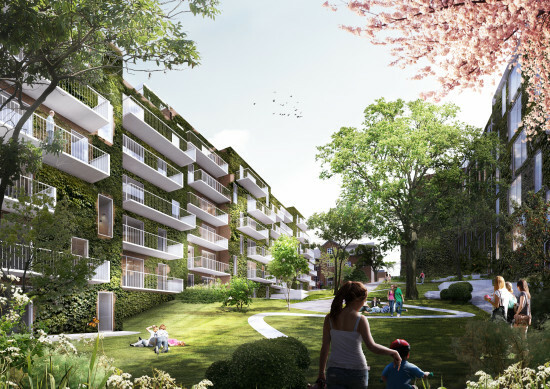 Green Valley is one of four projects by Danish studio Schmidt Hammer Lassen Architects transpiring within Shanghai. Each is a redevelopment of the once industrial area along the waterfront. 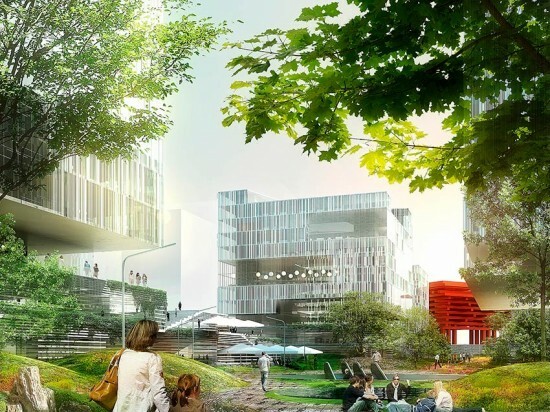 Schmidt Hammer Lassen Architects won the competition to design the project last year. It is located next to the iconic Chinese pavilion. Completion is expected in 2015.